PERU – Once upon a time, Juanita dreamed of living an extraordinary life. But after she finished school, financial concerns kept higher education and many other opportunities beyond her reach. That is until Operation Blessing supporters like you opened the door to an amazing opportunity for her. Juanita lived what she considered to be a fairly “common” life in Padrecocha, Peru. Her husband worked as a bricklayer while she sewed clothing for a living, raised her four children, and otherwise went about her daily routine. 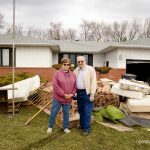 But even then, she always looked for chances to help those around her, and she won the admiration of her neighbors due to her willingness to serve. Following the very first meeting, she was so excited that she became an active recruiter and went door to door inviting 25 friends and relatives to also be a part of the Community Health Workers program. To this day, ten of them remain involved. 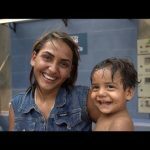 Juanita knows firsthand the needs and problems in her poverty-stricken community. Surrounded by jungle, many in Padrecocha lack basic necessities like proper nutrition and medical care. So she understands just how vital this volunteer program is. A year has now passed, and Juanita has faithfully attended every single one of the training sessions and consistently demonstrated responsibility, dedication, and enthusiasm. 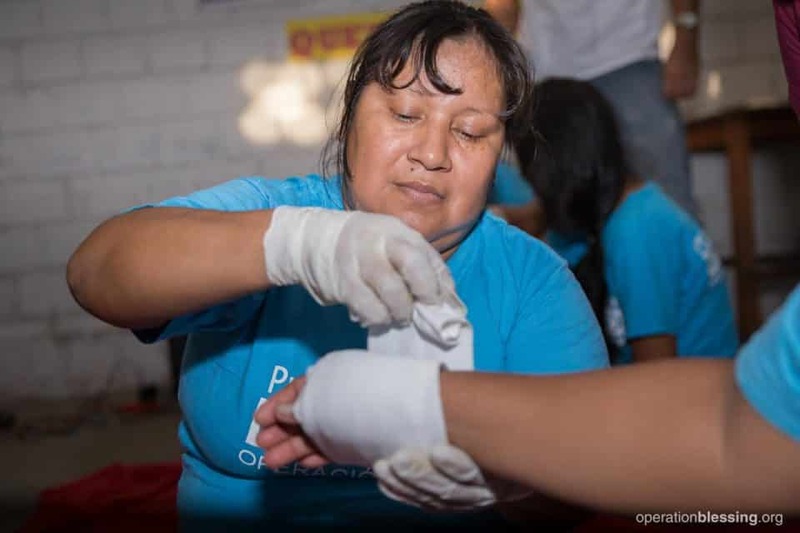 Weekly, Juanita and the other trainees learn important lessons in health care and first aid to allow them to serve as frontline medical responders in their neighborhood. 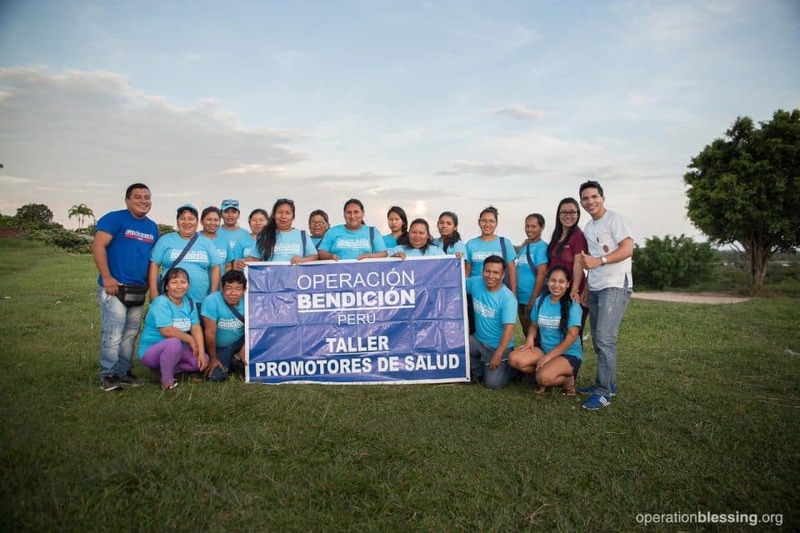 “Being a community health worker has been the best decision I made,” Juanita said. 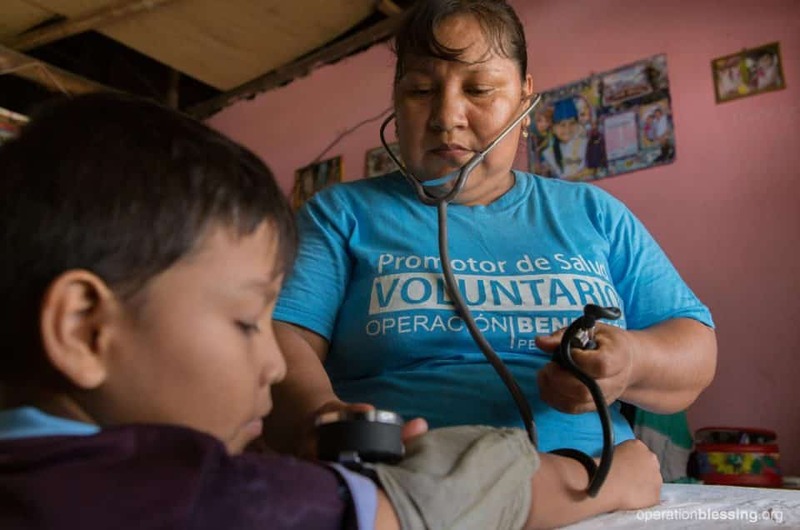 She enjoys putting her new knowledge to work as she helps her community by providing basic medical services including prenatal support, administering vitamins to school children, promoting OB Peru’s cervical cancer screening program, and offering home visits to her neighbors. Because of Operation Blessing supporters like you, Juanita no longer lives a “common” life. Instead, she goes above and beyond the ordinary every day in serving those around her. “I am very grateful to Operation Blessing for everything they have done in my life…for trusting me and teaching me that I am valuable and important to others,” Juanita said. 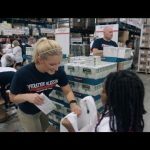 Her amazing attitude shines through in all she does, and in the fact that she finds such joy and fulfillment in her volunteer role. 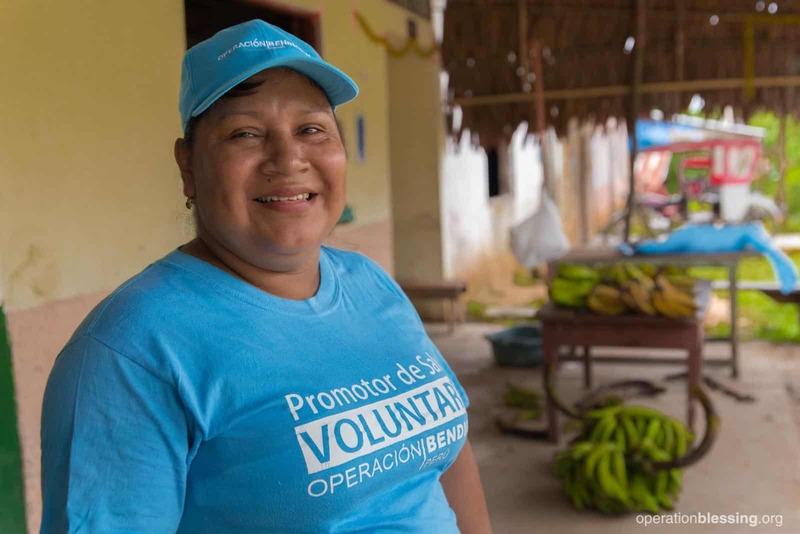 Juanita serves as an inspiration to her community, and to us as well. Thank you for empowering this dedicated volunteer and so many others like her around the world to provide blessing and light to their communities.